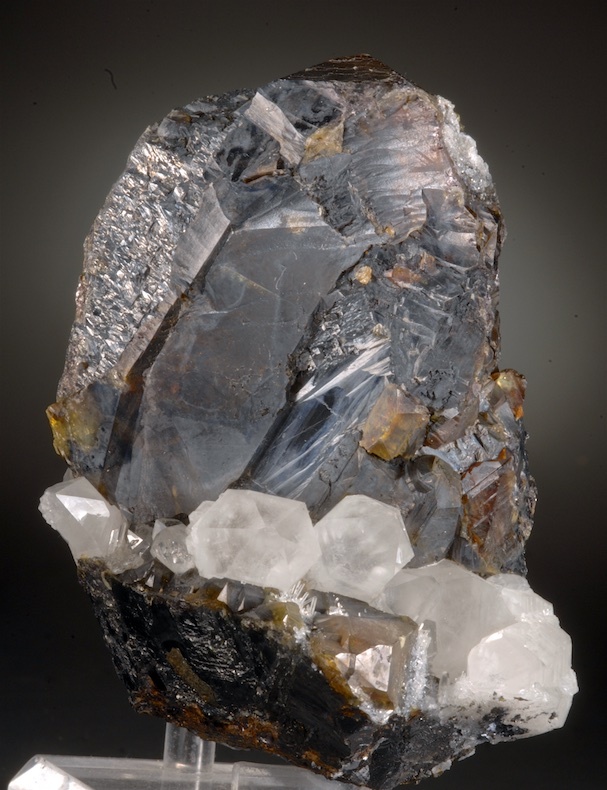 A giant Sphalerite crystal stands on a mix of Quartz crystals and Sphalerite. Bright luster, translucent and in fine condition, a dramatic specimen. The complex faces in some photos can seem like bruises were light reflects off many facets, but this is clearly pristine when seen in person. 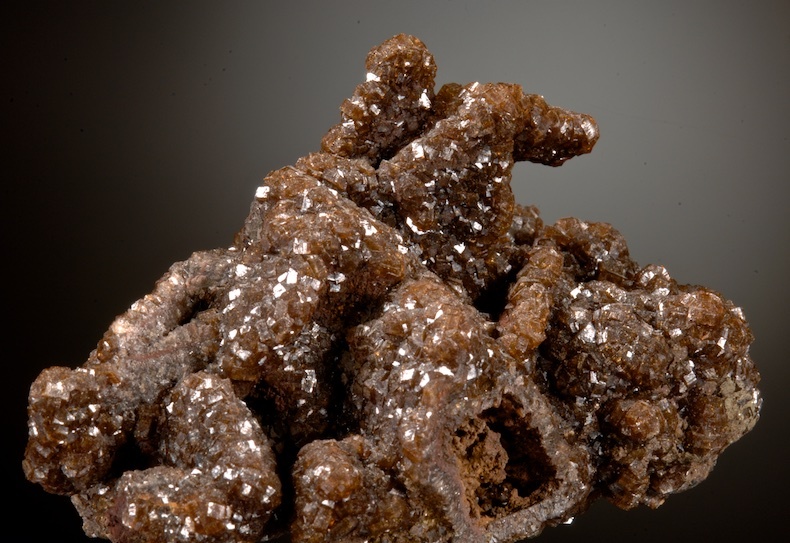 From finds in 2002-3 at Rucheng Mine, at that time the locality of was given as Shuikoushan which is a Zinc mine nearby, but that was purposely misleading. 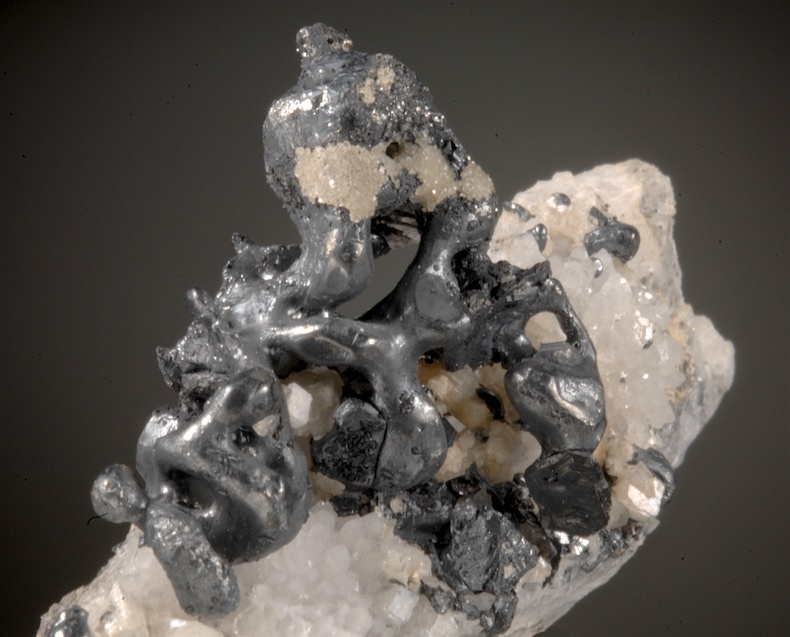 While some large Sphalerites did come from both localities, this habit is was unique to Rucheng. These places are no longer mined and big crystals like this are long gone. A modern Chinese classic and a really impressive Sphalerite, cleaves on the backside but undamaged front, visually perfect on display. A fine old Cornish classic, a cast composed entirely of Apatite crystals have formed casts after Anhydites. 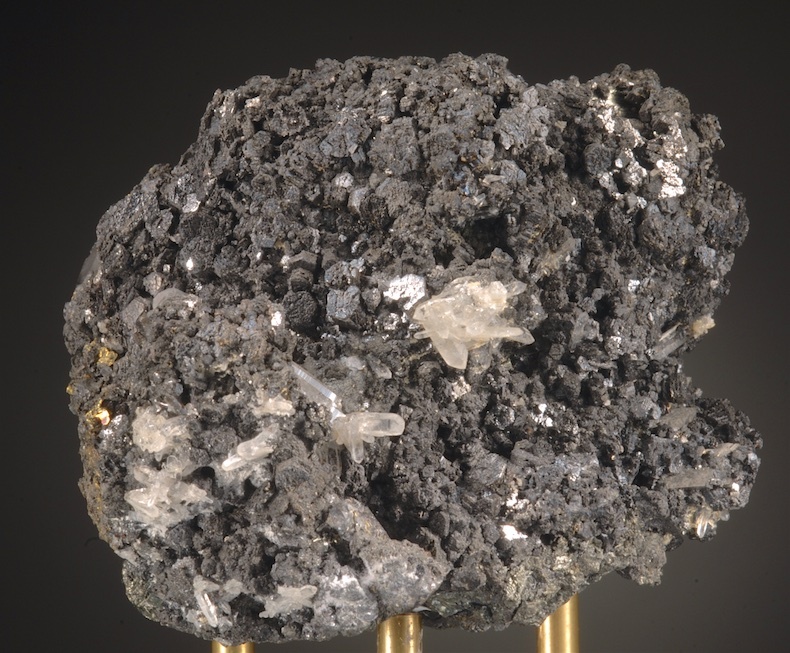 The specimen is crystallized on all sides with just a few spots of contact. Lustrous and sparkling and very three dimensional, the shapes of the Anhydrite crystals are sharply preserved. 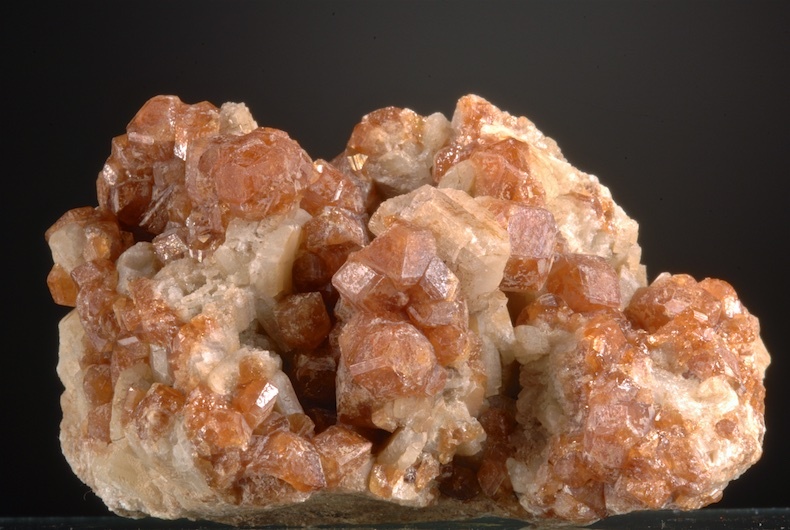 The Apatite crystals are very sharp, glassy, translucent brown color in hexagons with flat pinacoids. Choice, Ex KP hammond collection, these were at one time called Francolite which is now discredited but is a varietal name still in use. 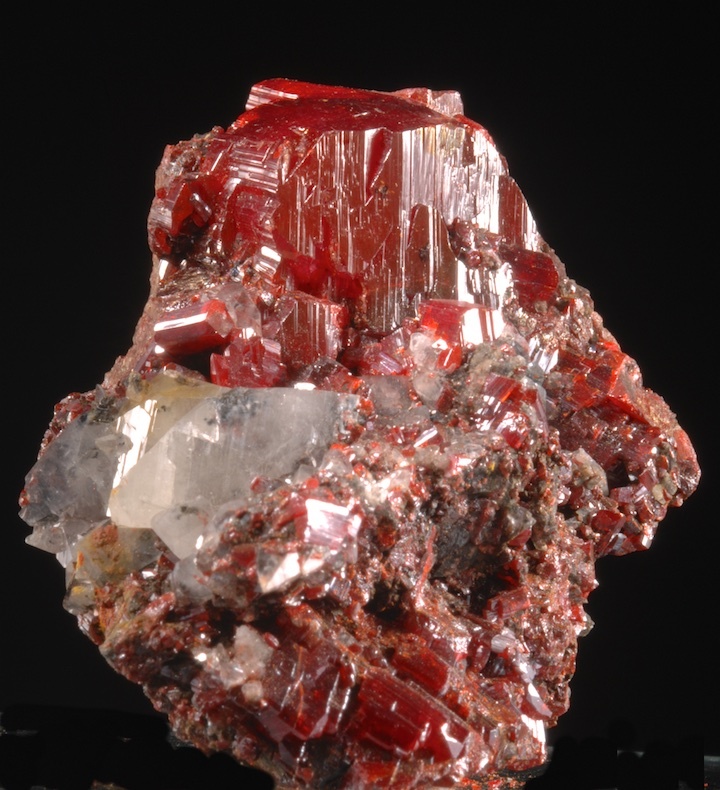 A superb, major specimen of well crystallized Wurtzite perhaps the best example from the great Yaoganxian Mine. By far this is the best and biggest specimen I have seen from this prolific locality, and was on exhibit in the Tucson TGMS special exhibit of Chinese minerals a decade ago. Ex Shields Flynn collection obtained from Bert Ottens who originally discovered Wurtzite at Yaoganxian. Nearly pure Wurtzite, there are hundreds of sharp crystals to 6 MM on all sides with just a few Quartz crystals as contrast. In fine condition and although a "dark ugly" it is oddly attractive. 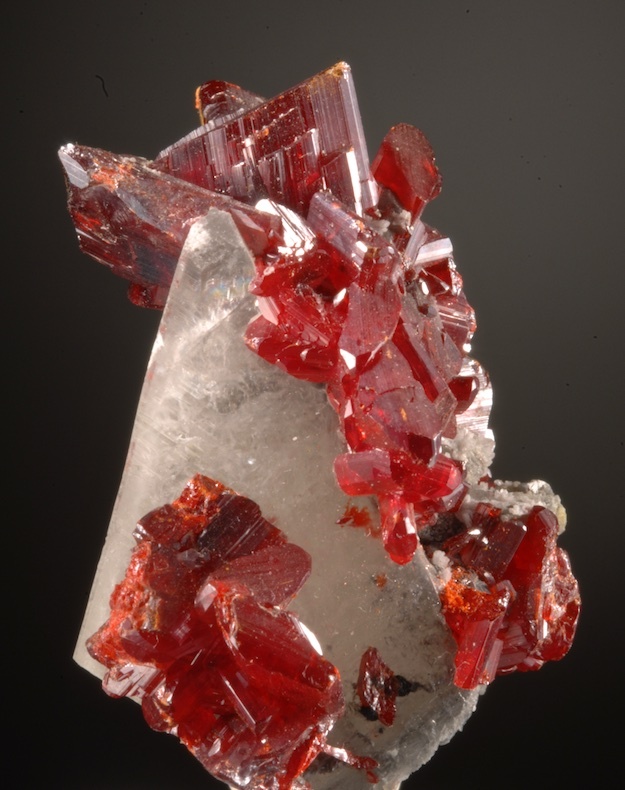 Several have considered this the very best Wurtzite from China, it is obviously important for the locale and the specie. 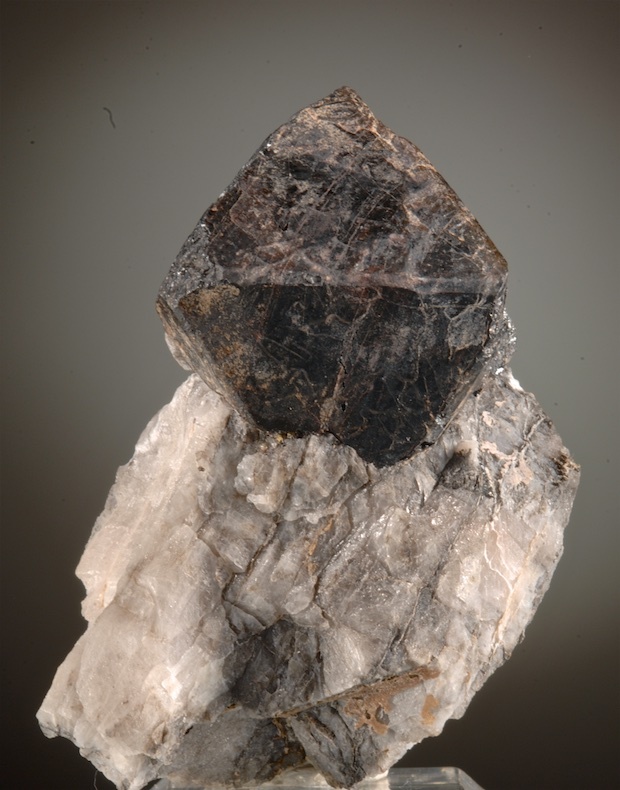 A well exposed and sizable (3.7 CM) sharp Franklinite octahedron on Calcite. Old specimen, this Franklinite is quite attractive (for a black mineral) with a good bit of luster on most faces. There are some contacts and bruises as seen on mostly back and sides but still much better than average for this brittle mineral. Good specimens of Franklinite have become very scare and are only available from older collections. This one, despite the rough spots is very fine for the specie.